A quick Google image search of runDisney will let even the most novice fan of these races know that running in Disney is about way more than the race - it's about the fun! And a large part of that fun is dressing the part. Runners from the first corral to the last come to runDisney events sporting running outfits and sometimes full on costumes that showcase their favorite characters and their own personal "Disney Side." This was the plan for my costumes. There were a few slight changes that happened closer to race day. Basically, be smart and don't wear anything that is unsafe or offensive. Lastly, you don't have to be creative to create you ensemble. Places such as Etsy have many crafty individuals who will gladly sell you a Disney themed racing outfit. Or, you may even elect to create a Disney inspired look using running gear that you already own or can easily purchase. I opted for the second choice. While I love to think I'm creative and crafty, at the end of the day - not so much. . .especially when it comes to sewing. 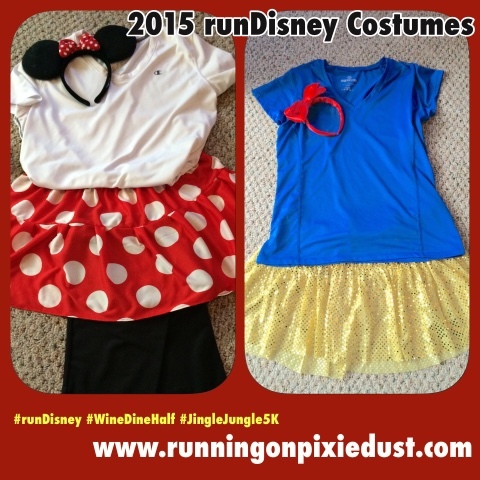 So instead of going with a full on "costume," I opted to create Disney themed outfits that would be comfortable to run in because they are actually running gear. 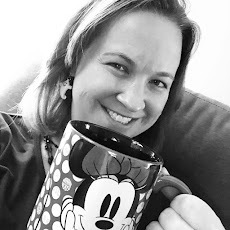 During the Wine and Dine Weekend, my first race was Mickey's Jingle Jungle 5K. 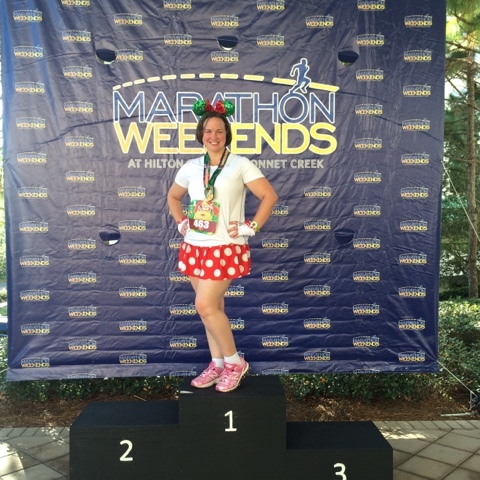 For this race, I chose to go with a classic Minnie Mouse outfit. I already owned the white tech shirt and black running shorts. From a local Halloween store, I purchased the white Minnie Mouse gloves and I ordered the red and white polka dot running skirt from Rock City Skirts on Etsy. Originally, I was planning on wearing my plain Minnie Mouse ears, but I opted to switch it out for the more festive Christmas one when we arrived in Disney. I thought the outfit captured the classic characters of the race as well as the Christmas theme well! 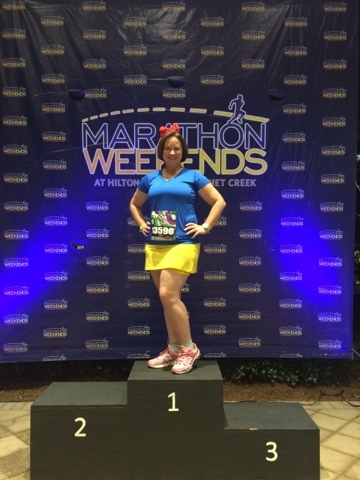 For the half marathon, I decided to "Disneybound" as Snow White. I already owned the royal blue tech shirt and added a yellow princess running skirt that I picked up at the runDisney expo from Running Skirts. I know the cardinal rule of running a race is not to wear a new outfit on race day, but I felt comfortable using a new skirt from Running Skirts because I have used their products before. 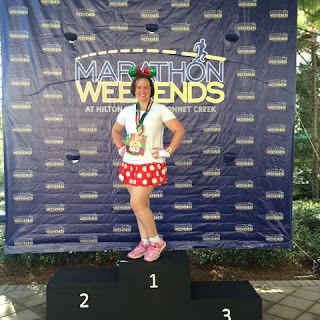 I had purchased a headband with a red bow on it to complete my look, but after experiencing the brutal Florida heat and humidity in the days leading up to the race, I decided to lose the headband after a few pictures and trade it in for the more functional runDisney headband. 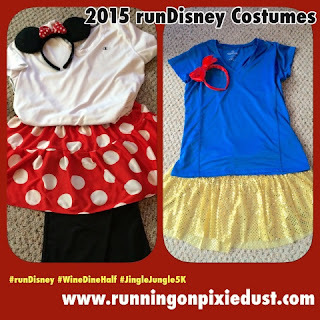 The costumes and fun of a runDisney race are part of what make these the most magical miles around! Happy running friends!